NORWICH: NO LONGER CUTTING THE MUSTARD? Posted on October 8, 2017 by Norwich Radical	in Community and tagged big business, brand, Britvic, city roots, closure, Colman, colmans mustard, culture, east anglia, employees, employer, halls of residence, history, identity, Jeremiah Colman, manufacture, mill, mustard, mustard museum, norfolk, norwich, production link, production site, sick benefits, social housing, UEA, Unilever, University of East Anglia. It has been suggested that the world famous Colman’s brand may soon break with a tradition more than 200 years old, of producing mustard and other products here in Norwich. Make no mistake – this is not nearly as trivial as it sounds, and would be nothing short of a local tragedy. This may seem exceptionally daft, but Colman’s has so much history here in Norwich, it is tough not to be upset by this news. Colman’s Mustard has been based in Norfolk since 1814 when Jeremiah Colman formally set up his mustard and flour business in Stoke Holy Cross, just outside of the current Norwich city boundary. Later, Jeremiah Colman’s great-nephew Jeremiah James Colman established the production factory in Norwich in 1858, which still exists today. With business booming, royal approval was gained in 1866 with the granting of a Special Warrant as manufacturers to ‘Her Majesty the Queen Victoria’, helping our local mustard gain a global reputation and put Norwich on the culinary world stage. Their business also stood for a lot more than turning profits. In a period characterised by poor working conditions, the Colman family set up a school for the children of those who worked at the factory and invested in social housing and sick benefits for employees. Not satisfied with this alone, the family also employed a doctor and a nurse for their workers, and set up free education classes for employees to further their skill set – a scheme way ahead of its time, and a model that I only wish more businesses in this day and age would copy. Having grown up just round the corner from the very first mill used by the Colman family, I’ve always felt a very strong connection to the hot yellow sauce. It’s one of my only personal examples of brand loyalty, and I make a real effort to ensure I don’t eat any other mustard. It gives me a bizarre sense of local pride to see the infamous yellow label with ‘Colman’s’ in red lettering and ‘Norwich’ displayed below it in supermarkets wherever I travel in the world, and it brings me a real sense of comfort in finding it on tables up and down the country. While the lasting impact of the Colman family is still seen to this day, immortalised in street names, schools, and even UEA accommodation blocks, the current production link with Colman’s is unfortunately very much under threat. Britvic, the soft-drinks producer which co-owns the Norwich production site that is also used for making Colman’s, said it would be pulling out of the city in 2019. This has prompted a review of operations by Unilever, responsible for Colman’s, with the suggestion that they too may have to leave the site. A spokesperson explained that Britvic and Unilever’s operations are “uniquely intertwined” and that “Britvic’s proposed withdrawal would have serious implications for Unilever in Norwich”. This has understandably been met with much protest amongst locals, and with over 100 jobs on the line, it is serious news. Thankfully, if you feel similarly to myself and many others: here is a petition you can sign against the proposal. We all need to make it very clear that our local economy, history, and status as a manufacturing city needs to be taken into consideration here. Norwich mustard may seem a trivial issue – but I will not stand to see a large corporation disregard our city’s culture. Much like eating too much mustard, news of the end of Colman’s in Norwich has got up my nose. 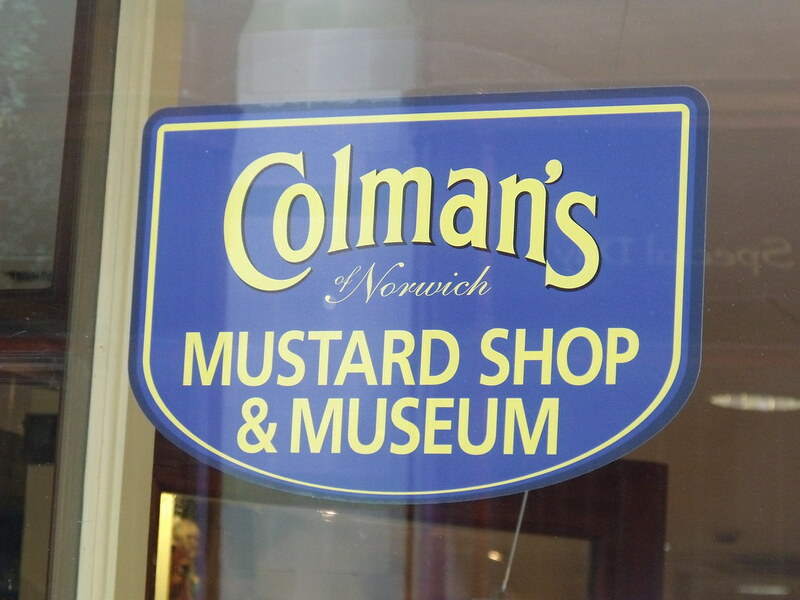 Disappointingly, on top of this it was announced this week that the Colman’s Mustard museum in Norwich, a surprisingly popular tourist attraction, will not reopen as planned – threatening the existence of Colman’s in local memory. The brand of Colman’s is so much more than just a small, local manufacturer – it is an icon of our city that is recognised across the world and it would be a disaster on so many levels for the company to end ties with Norwich. I only hope that Unilever listen to locals such as myself, and understand that our fine city can indeed still cut the mustard.